When King Frederik the seventh died childless in November 1863, the House of Oldenburg, in power since 1448, was forced to cede the Danish Crown to the House of Glücksburg. 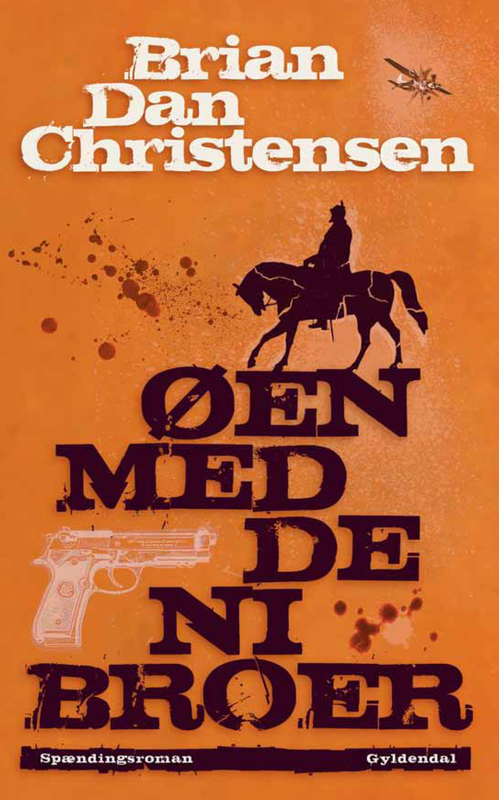 Nobody regards Denmark’s distant past as much more than a Hans Christian Andersen fairytale, least of all retired army COLONEL LEMBORG, until he finds himself on the trail of a secret Oldenburg Guard obsessed with reclaiming the Crown. The story begins in present day Denmark when a dog belonging to the PRINCE CONSORT is found dead in a flowerbed behind the palace on the prince’s 75th birthday. A detective with a past leads the investigation. DETECTIVE STORM agrees with Colonel Lemborg. There has to be more to it than a dead dachshund. An old hand grenade found in the attic might prove them right. Though most likely a relic from the Occupation, the grenade turns out to bear surprising sets of fingerprints. Soon the detective and the colonel find themselves in the middle of a mystery involving the kidnapping of young Danish women, a tattoo with an ancient symbol, rumors of an illegitimate child of the CROWN PRINCE, and a number of incriminating photos.